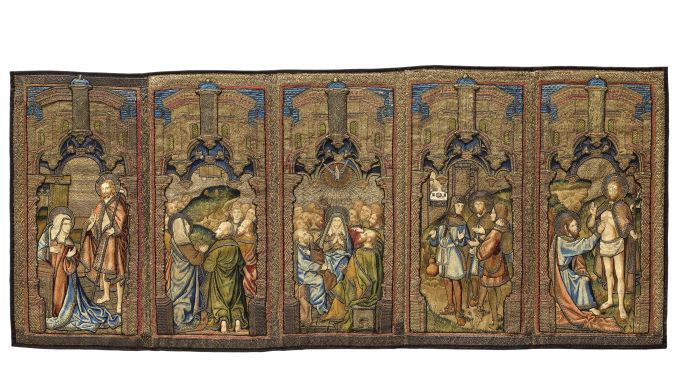 This publication, the first of its kind in many decades, draws together thirty-six rare and sumptuous European textiles created between the late fourteenth and late sixteenth centuries. Incorporating objects made both for secular and liturgical use, it explores the contexts of their creation, their functions and purpose, and their changing fortunes over the course of the subsequent centuries. After goldsmiths’ work, tapestries and embroideries were among the costliest art forms of the Middle Ages, due to their precious materials and the countless hours required to produce them. Whether hung on the wall or worn about the person, textiles provided a potent display of their owners’ wealth and status. Their vivid decoration also provided the perfect backdrop for courtly pageants, royal ceremonies, and liturgical festivals. Even the quickest glance at late medieval paintings shows just how forcefully textiles shaped the visual texture of the occasions they depict. Though always the works of specialist craftsmen, in the later Middle Ages textiles were often made following designs supplied by the leading painters and designers of their age. Yet only a tiny fraction of what was made has survived. The fragility of the fabrics, light damage and insects, together with alterations of use, have made this material extremely rare. 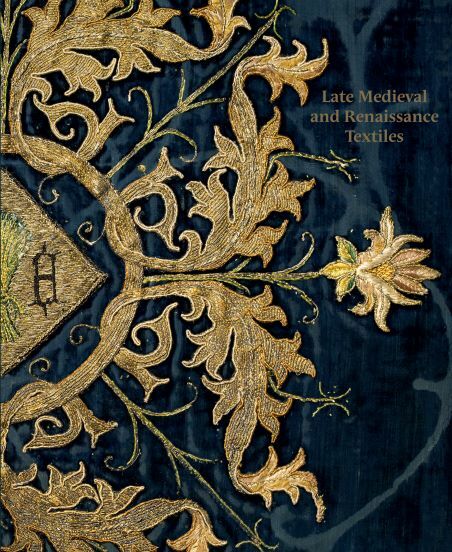 This catalog includes thirty-six late medieval and Renaissance textiles, many published for the first time, that together span a period of almost two hundred years. They are organized by country, starting with otherwise unrecorded examples of ‘opus anglicanum’ made in English workshops between around 1400 and the eve of the Reformation. They are followed by textiles from France, the Netherlands, Germany, Italy, and Spain. Different materials and classes of textile are grouped together within each of these regional divisions. 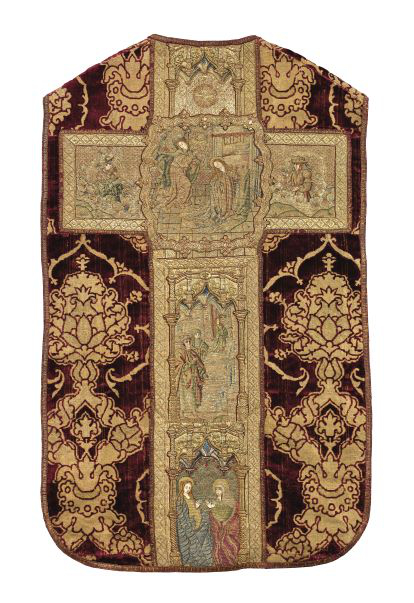 For instance, liturgical vestments and altar hangings sit side by side with sumptuous velvets and delicately embroidered tablecloths. Together, they encapsulate the incredible breadth of Europe’s flourishing textile industries during this period. Rosamund Garrett and Matthew Reeves have carefully recorded the physical structure, processes of manufacture, and condition of these remarkable and sometimes complex works, and have situated them within the wider contexts of their production and the cultural climate in which they were made.